A handheld GPS device is very useful for hiking, trekking and mountaineering because it allows you to easily find your way even if the visibility is poor or the landscape has little or no distinct features. Handheld GPS devices have several advantages in comparison to Smartphones which are often used for navigation by recreational hikers. GPS devices are more durable and have a much longer battery life. Furthermore, they are typically equipped with batteries that can be replaced with disposable batteries (usually AA batteries) if recharging is not possible – for example in remote and sparsely inhabited areas. In comparison to the increasingly popular GPS-enabled watches (which are indeed useful for navigation), handheld GPS devices offer a better overview of the terrain as they can show detailed maps and in some cases also satellite imagery while watches can only show your location and direction in relation to the waypoints and routes (breadcrumb trail). 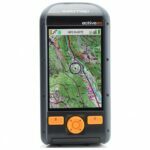 Handheld GPS devices also allow you to easily insert new waypoints and plan the route directly on the device while you need a computer to insert waypoints and routes on a GPS watch prior to your hike. Therefore, handheld GPS devices are the navigation tool of choice when it comes to hiking and mountaineering. However, you should never rely solely on any kind of GPS device (whether in the form of a watch, phone or handheld device) as they are all limited by their battery life and availability of GPS signal. It is recommended that you always bring a compass and map as a backup when venturing into unknown territory. 1. Buying a Handheld GPS device – What is important? A handheld GPS device should have a robust design and be made of materials that offer good shock- and abrasion resistance. Furthermore, a GPS device should also be water-resistant so that you can safely use it in rainy weather. All devices listed in this review provide good durability and qualify for the IPX7 water resistance rating (meaning that the device can withstand exposure to water of up to 1 meter for up to 30 minutes). The battery life of a handheld GPS device should be at least 10 hours so that you don’t have to change batteries too often. All GPS devices in this review have a great battery life and can be used with the included rechargeable batteries as well as with disposable alkaline batteries. A solar charger is a very useful gadget for recharging a GPS device on longer backpacking trips. For a good map overview, a handheld GPS device should be equipped with at least 2-inch display with good resolution. 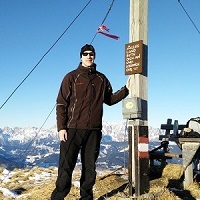 Many modern GPS devices are equipped with touchscreens – which are not perfect for hiking in cold weather or at high altitudes as they are hard to use with gloves on. However, touchscreens otherwise allow you to operate the device faster and easier. In this review we listed two devices with buttons and three devices with touchscreens. All devices in this review have high-quality displays. Hiking and mountaineering require lightweight gear as lightweight gear allows you to hike faster and easier. In this review we only included lightweight GPS devices. It’s a great advantage if a GPS device comes with planning software (for PC or Mac) as planning software allows you to easily create routes and waypoints which can then be imported to the device. Usually planning software also shows you advanced information about the routes you have created such as distance, ascent etc. Some brands have their own software like for example Garmin (e.g. BaseCamp app which is available for Mac and Windows) while others use third party applications. Modern GPS devices do not only show your location on a map but also have other useful features such as an electronic compass and barometric altimeter. Such a compass and altimeter work even if the GPS signal is not available and thus come in handy when you are hiking in narrow valleys or dense woods, where it might be hard to get the signal. Some GPS devices can also be connected to other devices such as Smartphones, cameras (for example the Garmin Virb action camera), heart rate monitors and temperature sensors. These devices can then be controlled directly from the GPS unit, which can also show different information from each device (for example notifications from a Smartphone, the heart rate from a heart rate monitor etc.). In addition to GPS, some devices also support GLONASS – an alternative to GPS. Devices that support both GPS and GLONASS locate your position faster and more precisely. Furthermore, they are also more likely to locate your position in difficult terrain (narrow valleys, dense woods etc.). Four of the GPS devices listed here support both GPS and GLONASS while one device (Magellan eXplorist 710) supports only GPS. Additionally, the positioning accuracy can be increased with the WAAS feature which provides GPS signal corrections while the positioning speed can be improved with Hotfix feature which calculates and saves the positions of satellites for the next three days. Weight 4.9 oz. 8.1 oz. 7.4 oz. 10.2 oz. 11 oz. Size 2.1 x 4.1 x 1.3 in. 2.4 x 6.3 x 1.4 in. 2.4 x 4.5 x 1.3 in. 3.0 x 5.7 x 1.4 in. 2.4 x 5.8 x 1.4 in. 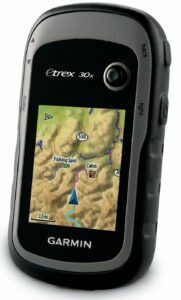 Display 2.2" 2.6" 3" 4" 3.5"
The Garmin eTrex 30x is the lightest and smallest device in this review. This makes it perfect for hiking, mountaineering, trekking and other outdoor activities – you can easily store it in your backpack’s hip belt pocket. The device also fits perfectly in your hand. It is very compact and provides great water- and shock-resistance. The display is small but provides sufficient readability. It has a resolution of 240 x 320 pixels and can show 65.000 colors. 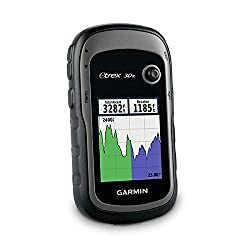 Garmin eTrex 30x is equipped with a 3-axis electronic compass, barometric altimeter, WAAS, HotFix and wireless connectivity. The electronic compass shows direction even when the device is not completely leveled. The barometric altimeter shows how high above the sea level you are and can also be used to predict weather. The WAAS and HotFix features make positioning fast and precise. Maps can be easily added to the MicroSD card. The eTrex 30 device also supports satellite images (it can display satellite images instead of a map), but a subscription is required to use this feature (BirdsEye). You can pair the device with different accessories such as a heart rate monitor, foot pod and external thermometer (Garmin Tempe) via a wireless connection. 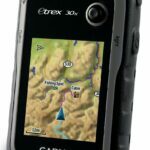 The Garmin eTrex 30x is a great handheld GPS device due to its small size and incredible hardware. We recommend it to hikers, mountaineers, climbers and other outdoor enthusiasts. 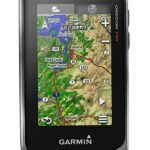 The Garmin GPSMAP 64st is equipped with a slightly bigger screen than the Garmin eTrex 30x and has buttons placed below the screen instead of along the sides, which obviously increases the length of the device. Therefore, it is slightly less handy than the eTrex 30x. 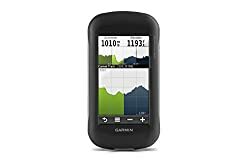 The Garmin GPSMAP 64st is equipped with a helix antenna that tracks both GPS and GLONASS satellites simultaneously which increases the satellite lock speed as well as the positioning accuracy. Other features include an electronic 3-axis compass, barometric altimeter and Bluetooth chipset which allows you to wirelessly connect it to other Bluetooth devices – for example your SmartPhone. The Garmin GPSMAP 64st also supports notifications such as missed calls, text messages and other alerts from your phone to be displayed directly on the GPS device. The GPS device comes with the TOPO U.S. 100K maps and a 1-year BirdsEye Satellite Imagery subscription. The Garmin GPSMAP 64st is an amazing device but in comparison to the eTrex 30x it’s heavier, larger and has a shorter battery life. The construction is, however, very robust and thus the device can easily withstand harsh conditions. 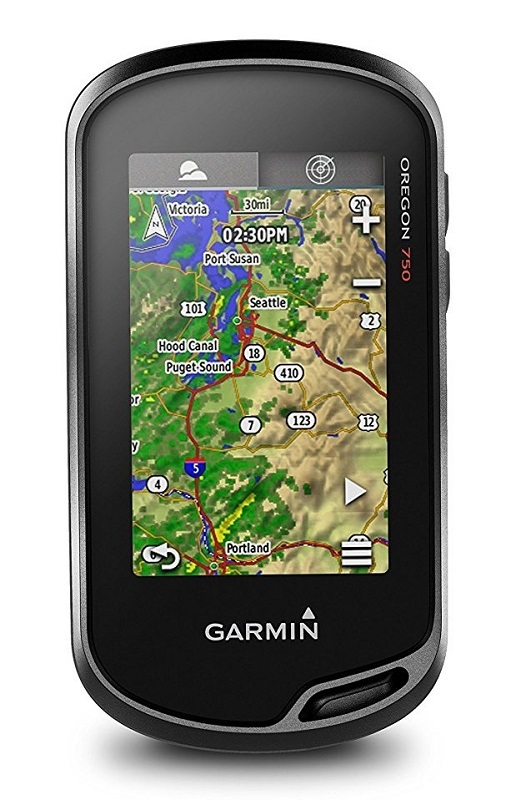 The Garmin Oregon 750t is a sophisticated GPS device, equipped with a 3-inch touchscreen. The screen provides good readability, even in sunlight, and supports multi-touch and dual-orientation view. The downside of the touch screen is that it is hard to use with gloves on. The Garmin Oregon 750t is equipped with a 3-axis compass, accelerometer, barometric altimeter and an 8-megapixel camera for snapshots. The high-quality integrated antenna allows the GPS device to retrieve the location quickly and accurately (it uses both GPS and GLONASS). 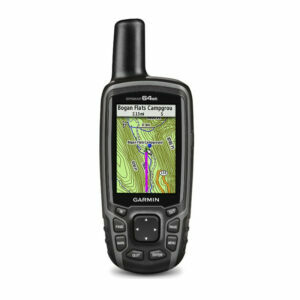 The Garmin Oregon 750t is also perfect for Geocaching because it can store up to 4 million Geocaches. You can read the descriptions and hints directly on the device. There are filters which allow you to sort the Geocaches by size, terrain, difficulty and type. The camera features autofocus, geo tagging and sharing through Garmin Adventures. Trips can be easily planned in the Garmin BaseCamp app. 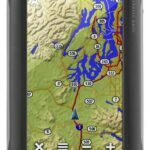 The Garmin Oregon 750t comes with Topo U.S. 100K maps and additional maps can be easily uploaded to the device. 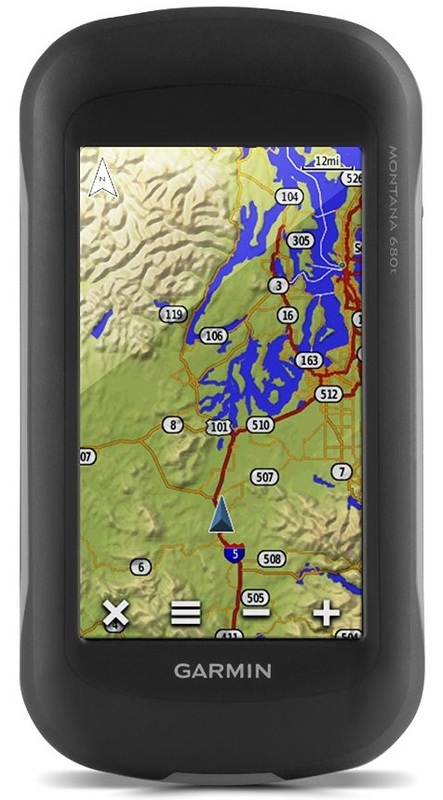 The Garmin Montana 680t is another sophisticated GPS device from the iconic brand. 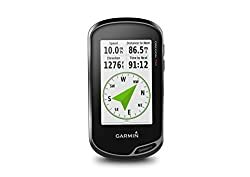 It is slightly bigger and heavier than the Garmin Oregon 750t but on the other hand it also has a bigger display (an inch extra) with better resolution. The touchscreen display supports double orientation and is more “glove-friendly” than standard touchscreen displays. This does not completely eliminate the fact that touchscreens are hard to use with gloves on because wearing a (thick) glove you will still have problems touching the screen precisely. 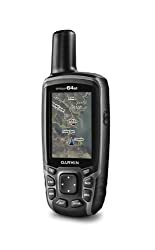 The Garmin Montana 680t features a barometric altimeter, digital compass, 8 MP camera, sun and moon information, hunting/fishing calendar, tide tables and turn-by-turn navigation. As the device tracks both GPS and GLONASS satellites, and furthermore utilizes the HotFix and WAAS features, it retrieves signal very fast and shows the location precisely. Garmin Montana 680t is powered by a rechargeable lithium-ion battery but can also run on 3 standard AA batteries. The lifetime of the lithium-ion battery is approximately 16 hours and the lifetime of 3 standard AA batteries is slightly longer – approximately 22 hours. 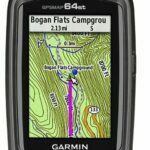 The Garmin Montana 680t is a powerful navigation tool but it has two big downsides – weight and size. 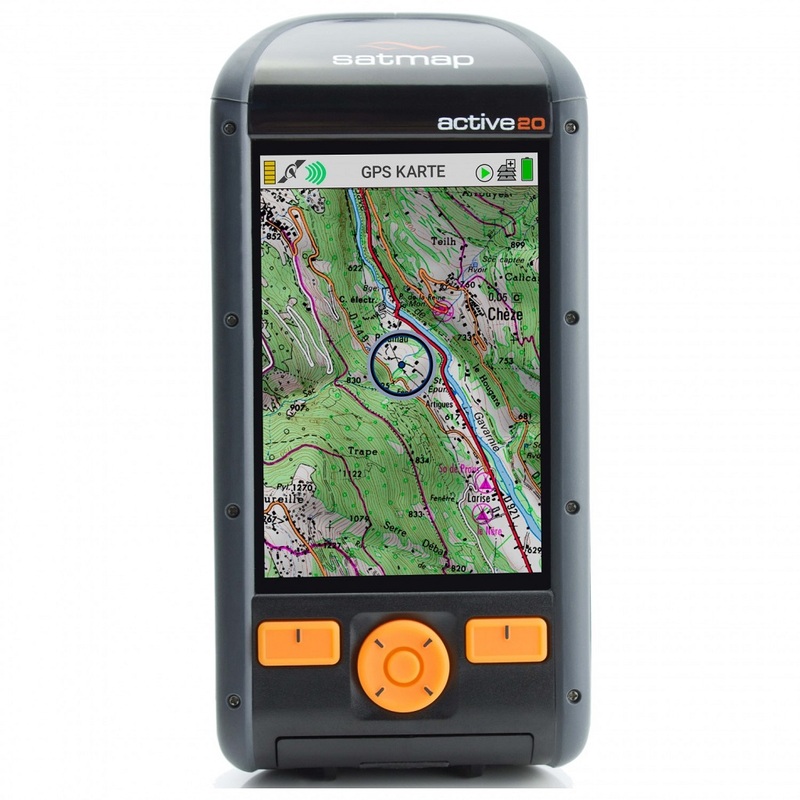 The Satmap Active 20 is a simple but very effective handheld GPS device. Therefore, it is suitable for beginners as well as professionals. The device weighs 11 ounces and is equipped with a 3.5-inch high-resolution display. The buttons are large and easy to use – even when you are wearing gloves or having fingers numb of cold. The construction is very solid and thus the device offers good protection against shock and water. Satmap Active 20 has the IP68 water-resistance rating which means that it can be submerged up to 1.5 meters. It also has the IK7 impact rating and utilizes the robust Gorilla glass. The Satmap gps device is equipped with Bluetooth Smart which allows you to share routes wirelessly and connect additional equipment, like a heart rate belt, to it. It is also equipped with a barometric altimeter for precise readings. Altitude information is available even if the GPS signal is lost – exactly due to the barometric altimeter. There are many maps available for this device – they can be purchased directly from the Satmap’s website. The included rechargeable battery lasts for up to 16 hours but can be replaced with 3 AA batteries. 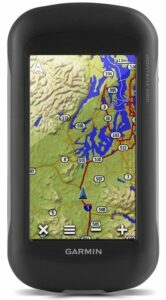 The Satmap Active 20 is a great device for every hiker or mountaineer. 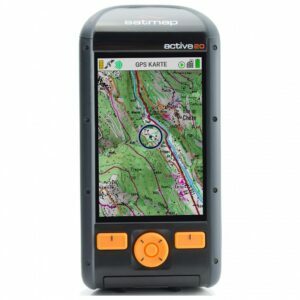 The main advantages of the Satmap Active 20 in comparison to the competition are the convenient buttons and the large high-resolution display.